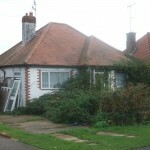 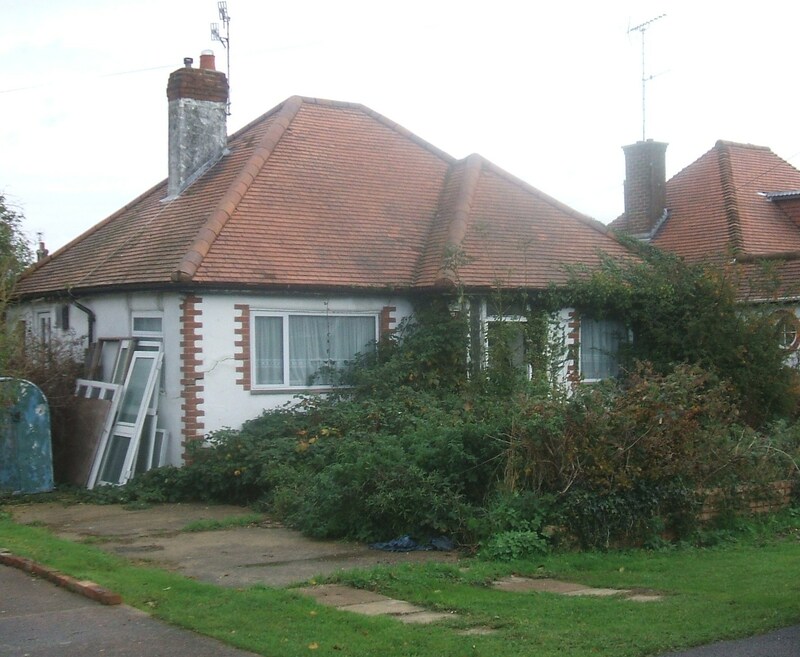 Here you see a photo of a derelict house in Ferring, which had some serious structural defects and had to be demolished. 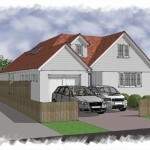 We were approached by the developer who bought the site and asked to design a new house for the site which would appeal to a young family. 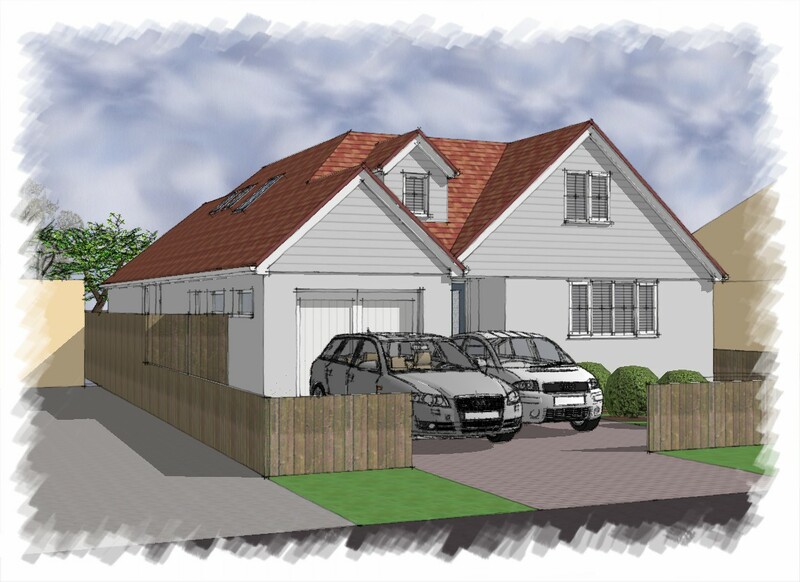 We designed the house, obtained planning permission and approval under the Building Regulations, and produced the image you see on the right to enable the developer to market the house ‘off-plan’.